The BEST! Comfortable 18:1 thrust ratio. Spout cutter and reemer. Ladder hook. 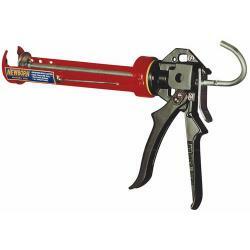 High quality caulk gun used to dispense 10 oz to 11 oz tubes of caulk/chink.